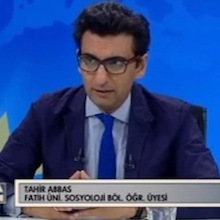 The state's authority no longer creates a sense of fear among the Turks, a people that are rampant tweeters and well-connected to the world, writes Professor Tahir Abbas. The one-year anniversary of the Gezi Park events was marked by a dramatic show of police presence in the central areas of Taksim on 31 May. As many as 25,000 police officers lined the streets of Istiklal Avenue, the central thoroughfare connecting Taksim Square and Galata Tower, two monumental sites of Turkish history, culture and politics. It was said that there were only 50 protestors who were prepared to make a stand. Memories of the 2013 Gezi Park events remain fresh in people’s minds. But did the police forces learn from them in order to decipher the impact of their actions on Turkish people actively or passively caught up in the protests? As the image of Turkey across the global media takes a persistent turn for the worse, surely foresight and planning would have led to minimising any negative perceptions to emerge from how the 2014 anniversary would potentially unfold? Turkey stands in the middle of the cultural world, straddling eastern and western civilisations, religions and politics. The twentieth century ended in near economic ruin, but the first decade of the twenty-first century led to strong and stable economic growth, social cohesion and a confident geo-political outlook unimaginable at the onset. However, in recent periods there appears to be trouble brewing at the top. The Prime Minister, Tayyip Erdogan, has kept an immense grip on the AKP since it formed and he remains the undisputed leader of the party and the nation. The Graft Probe that began on 17 December 2013 was an attempt to expose the apparent corruption afflicting principal members of Erdogan’s cabinet as well as his direct family. This was done presumably in an effort to dissuade voters choosing AKP when deciding upon their municipality representatives in local elections held at the end of March of 2014. But it had little or no effect on the final result. In fact, the AKP returned stronger than ever in local political history, although there are concerns around electoral fraud that are unchecked. Despite internal disaffection and criticism from global powers, the Prime Minister and his party are as commanding as they could ever wish to be. RELATED This is the most original take on Turkey’s social media problem – and how to solve it. There may be a political profile that suggests significant popularity for the AKP, but many of the reasons why the original Gezi Park events began still have not been addressed. Those who took part in those activities were wide and diverse, from actively protesting against the razing of the trees to mothers forming circles in the park as they supported the movement. Marxists, Leninists, feminists, the LGBT community, conservative Muslims, men and women, young and old, all maintained their stance against what they collectively regarded as the main problems facing Turkey in the current period. The essential concern was with neoliberalism and how it had altered not only the landscape of large urban centres such as Istanbul but also the very fabric of Turkish society and politics. While there were major developments to the economy with public spending accompanying the investment in society, the old guard elite was systematically dismantled. Secular liberals who held sway in the military, judiciary, media and the commercial centres of Turkish society were pushed aside and a new oligarchy of Islamist conservatives systematically began to take power. The implications were that the new oligarchs were not so different from the old, combined by the democrat deficit as a result of a weak opposition, co-opted media and myopic urban planning. In 2013, oodles of tear gas and pepper spray were used by the police, often indiscriminately. Such a dramatic show of force and authority did not create a sense of fear and alarm among Turks in the way it is arguably hoped or expected to. Today, Turks are rampant tweeters who have an array of media sources at their disposal, local and global. Silencing journalists or detaining news broadcasters live on air can only contribute to the existing negative perceptions the world at large appears to be forming. Turkey is better than this, and its people are more nuanced and rich in culture, humour and diversity than is often understood – internally and externally. While the AKP is looking forward to presidential elections in August 2014 and the general election in the spring of 2015, it would be sensible to ease the iron grip and think of the bigger picture.